Leave it to Scott Yanow, arguably the most prolific jazz commentator since Leonard Feather, to deliver an invaluable reference work that’s as absorbing as it is exhaustive. 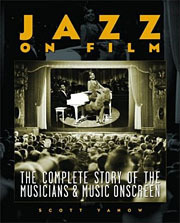 Divided into three key sections, Jazz on Film begins with detailed descriptions, complete with ratings that range from “stinks” to “essential,” of over 400 jazz-related videos and DVDs, extending from the celebrated (1958’s live-from-Newport Jazz on a Summer Day) to the enticingly obscure (a 1969 British festival that combines Buddy Guy, Glen Campbell and the Modern Jazz Quartet on the same bill). Part two documents nearly 450 jazz-related performances from eight decades’ worth of Hollywood films. Part three is a catchall that surveys some 300 shorts, TV specials and documentaries. 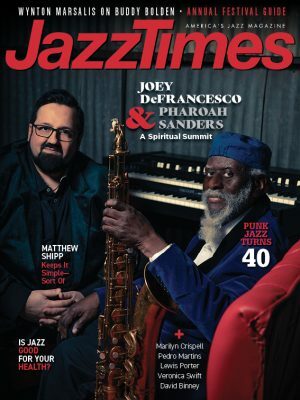 It all adds up to one terrific resource, the depth and breadth of which will leave even the most knowledgeable jazz fan mightily impressed.